O&M Original & Mineral are a leading hair care brand, with their extensive range of hair treatment and styling products being favourites amongst Adore Beauty customers. O&M were developed out of the idea that healthy hair begins when it’s free from stress overload and they aim to reduce the chemical and artificial ingredients in professional hair care products. Opting for natural extracts and active minerals rather than harsh chemicals, O&M have created effective yet gentle products which deliver real hair care benefits. Whether you’re looking to trial some of the bestselling products from O&M or are stocking up on your favourites for a holiday, we offer a selection of travel-sized goods from the hair care experts. The O&M Know Knott Conditioning Detangler Mini effortlessly frees hair from pesky snarls and knots, allowing for less hair damage and a sleek and smooth finish. Containing a hydrating blend of macadamia and argan oils, the lightweight spray helps to recondition locks and can be used on both dry and wet hair. Another firm favourite is the O&M Atonic Thickening Spritz Mini, designed with thin and fine hair in mind. Simply apply to the roots of wet hair, the spray will instantly adhere to the hair cuticles to increase body for a fuller and thicker look. The hair nourishing spray also contains a cocktail of conditioning agents to enhance shine and smoothness on lacklustre locks. For the ultimate travel pack, we recommend the O&M Mini Smooth Minerals Kit. Containing 5x50ml products from shampoos and conditioner to hair masks, this handy kit will keep your hair looking healthy and hydrated when you’re on the go. 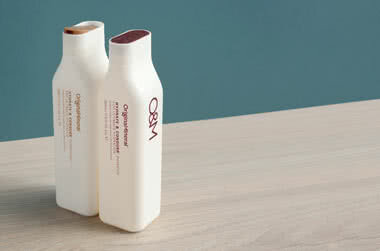 We also offer the O&M Volume Minerals Kit which has been specifically designed for volumising thin and fine hair. The packaging for this conditioner is a real let down and its a shame because the product itself is amazing (smells beautiful like coconut and vanilla - also very moisturising). Its really difficult to get the conditioner out and I was left with almost half of the product stuck in the bottle and unable to get it out. I've seen heaps of other people having the same issues. I use this spray each time I wash and blow dry my hair and its always left feeling really silky and tangle free. Also has a beautiful scent. Lovely!